If buying a home is on your goal list for 2018, you might be just in time. The reports and the experts are saying the housing boom is not expected to “slow down” anytime soon. Housing sales have been at an all-time high, increasing 6% since October, and almost 19% since 2016. In addition to housing sales being high, the price of homes continues to climb. The main drivers are low unemployment, wage growth, and historically low inventory. In November, the months-supply of homes for sale on the market plummeted to 3.4 months — the lowest since NAR started tracking inventory in 1999 according to Yahoo! Finance. So, why have housing sales have been at an all-time high, the highest in almost a decade? There is a low supply of existing homes for sale. When supply is down, and demand is up, the price is bound to go up. In California, the year over year price of homes increased 6.1%. Similarly, in Nevada, home prices rose 6.9% over the last year. Even as home builders are continuing to build new homes, demand is still outpacing the available inventory of new homes according to Dr. Steve Sjuggerud of DailyWealth.com. Additionally, new homes are not being built fast enough to keep up with the demand for new home builds. Many homes being sold are either under construction or are still in the planning stages. However, residential construction is expected to pick up in 2018 because of a provision in the new tax plan that provides pass-through entities a 20% deduction on taxable income, according to industry experts. If you are looking for a new home that’s energy efficient and has all the modern comforts and amenities, Silverado Homes has a community just for you. Don’t let your opportunity to be a homeowner pass by. 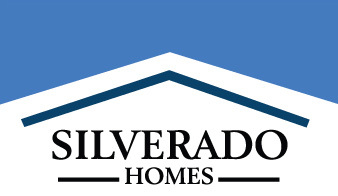 Make your appointment to speak with a Silverado Homes sales consultant today.